The Grand Design Reflection Fifth Wheels are super light on mass, but super heavy on amenities. Engineered to have the same uncompromised high-end style, convenience, towability and quality found in our legendary Grand Design RV Fifth Wheels and packed with the features you deserve. The Grand Design Reflections are the perfect solution for those who are looking for a lightweight coach. 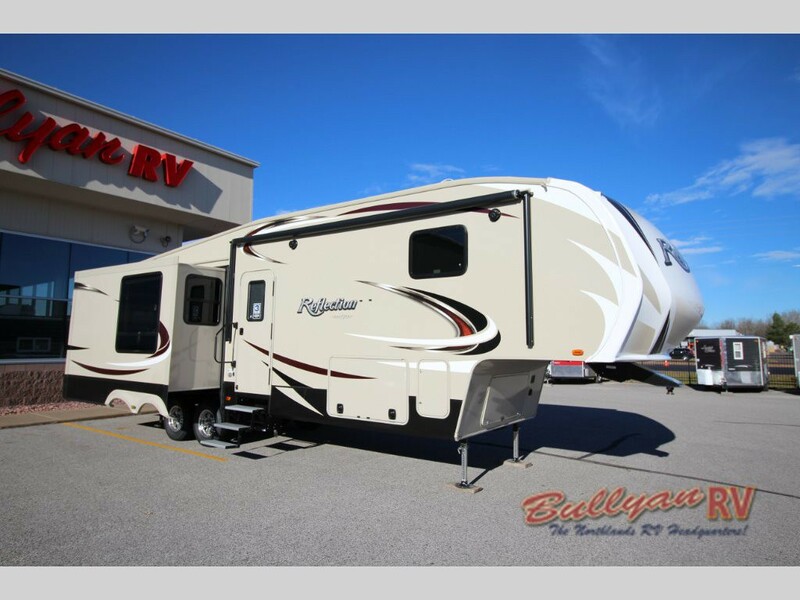 Equipped with EQUA FLEX rubberized suspension and “Correct Track” axle alignment system the Grand Design Reflection fifth wheels guarantee a sturdy ride. Constructed of laminated aluminum frame with a residential wood framed roof, the Grand Design Reflection has been built to last mile after mile. And it’s aerodynamic front cap ensures you a easier pull when you hit the road. The Reflection is a head turner with it’s tasteful paint package and sleek design. Interior features include Hand Rubbed Maple Cabinet Doors, Solid Hardwood Drawer Fronts, Solid Core Cabinet Stiles, Large Panoramic Slide Room Windows, Residential Style Window Treatment, Solid Surface LG Brand Countertops, Hi Rise Faucet w/Pullout Sprayer. With decorative touches including hardwood trim moldings and gunstock hardware, the Grand Design Reflection will impress. And with the ample storage and practical layout, you will have plenty of space to spread out. 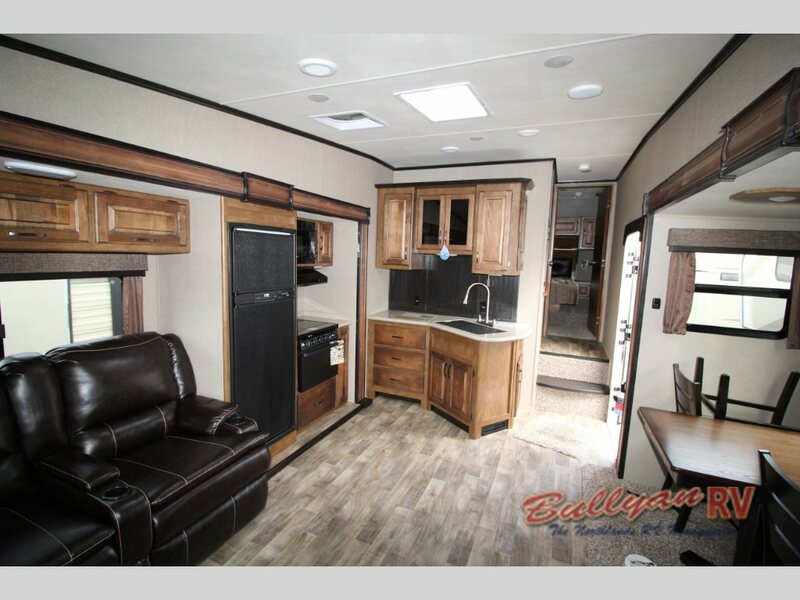 And with a variety of floor plans to choose from there is a Grand Design Reflection Fifth Wheel to fit your family’s needs and budget.